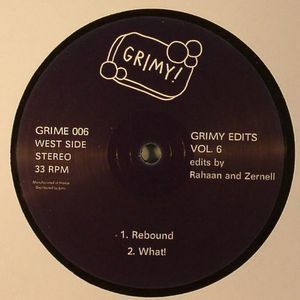 RAHAAN/ZERNELL/TIM MCALLISTER Grimy Edits Vol 6 vinyl at Juno Records. 2. Zernell & Rahaan - "What!" 1. Tim McAllister - "I Need Help!" The highly anticipated release of Grimy Edits Vol. 6 is here with the type of monster edits you'd expect from GRIMY! 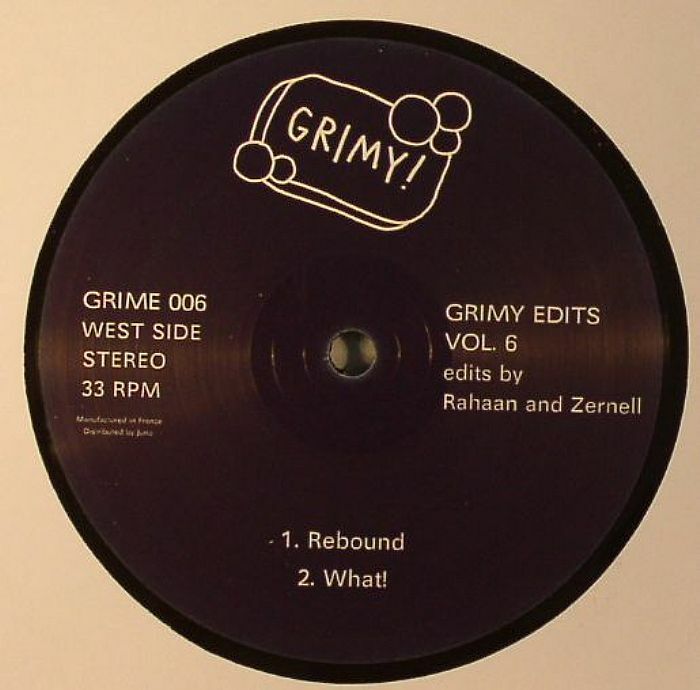 On this sixth volume of the popular edit series you have Veteran Chicago DJs Zernell & Rahaan bringing the heat with Rahaan's supercharged version of Rebound as the 1st track, coupled with the Zernell - Rahaan collaboration of an obscure B-side Latin Disco / Break Beat Jam perfectly titled WHAT! 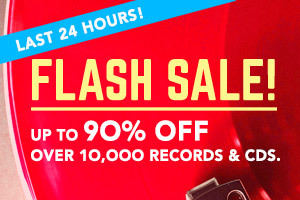 Joined on the flip side of the release is veteran edit master Tim McAllister of M.I.L.C. Music fame who takes a lesser known JB 7" and transforms it into the dance foor killer titled "I Need Help! ".